27th of November is the date initially chosen to open the ski resort of Sierra Nevada in Granada. Of course, the indispensable condition to open the resort will be the presence of snow in adequate quality and quantity. For this season Sierra Nevada has been awarded with an investment of 10 million Euros to promote new facilities and reform existing facilities. The ski resort of Sierra Nevada will launch this winter season 2010/2011 the Sulayr super park dedicated to fans of snowboarding and freestyle, in Loma de Dilar area, which will be set from now on as a young space, funny and with its own image. The new snow park, larger than the previous one, will have three areas of natural and artificial modules, ambient music and Wi-Fi network, among others. As a result, the perimeter which was previously occupied by Sulayr in Borreguiles will join the family and beginners ski area, in a reorganization of the Sierra Nevada ski area that seeks to provide better scenarios for two basic sectors: the families and snowboarders. One of the great innovations of the 2010/11 campaign will be the launching of the slope Universiade. For the design of this slope it has been necessary to build an underground crossing at its intersection with the slope Maribel. The idea of this initiative is to support the development of competitions along with the commercial exploitation of the station, as with the underground crossing it is not necessary to interrupt the traffic of skiers from Borreguiles and Pradollano when Super G competitions are held on the track Universiade. 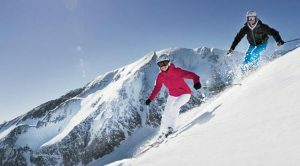 As well for the first time has been launched the pre-sale of discounted ski passes. 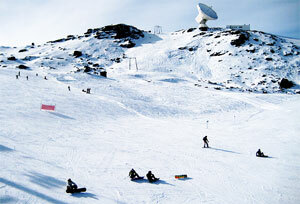 Sierra Nevada is situated only 120 km from the Costa del Sol and offers visitors a wide range of hotels and apartments.